Valley Brook Community Church is located on 80 acres on the east branch of Salmon Brook in North Granby. The campus grounds include a pond, hiking trails and a house that is currently home to a partner ministry, FUSE (Families United Serving & Embracing). During daylight hours, you’re free to explore and enjoy the campus. Please watch your children and do not allow them near the pond or brook without adult supervision. 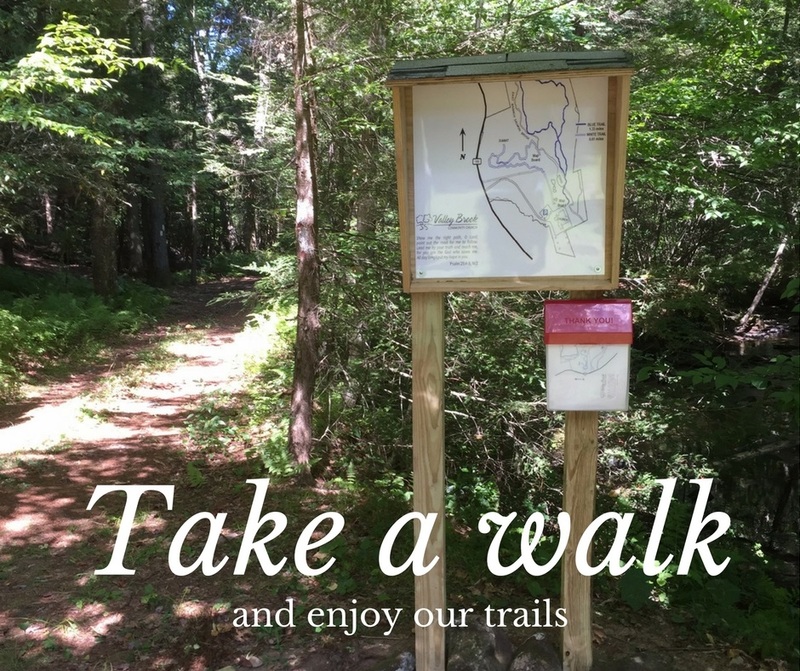 Trail access: Park in the lot adjacent to the fenced-in field and walk down to the brook area located behind our main building.